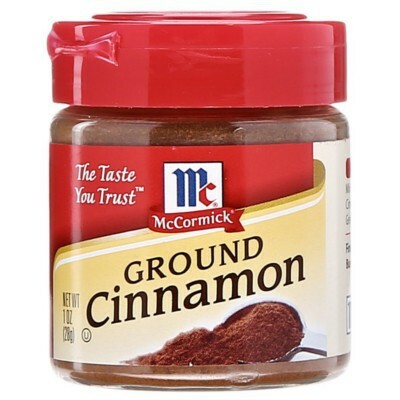 You know you can trust McCormick to bring you the best in spices and seasonings! And is there any spice more important during the fall season (or any season!) than cinnamon? 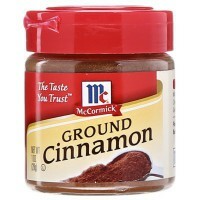 This fine ground cinnamon can be used in sweet or salty dishes: add it to your pie or fruit compote, sprinkle it onto your chocolate cakes and hot chocolate, add it to your French toast, eggnog, and cereal, or even use it to spruce up your holiday ham, sweet potatoes, carrots, and soups. And don't forget to try your hand at the quintessential American breakfast-dessert, cinammon rolls! Cannella profumata aromatica ideale per i dolci. Sono soddisfatta! Sabor intenso y agradable. La utilizo incluso cuando hago café, pero es que me gusta muchísimo; cuando la termine, volveré a comprar.